It's never been easier to be sustainable with your style. 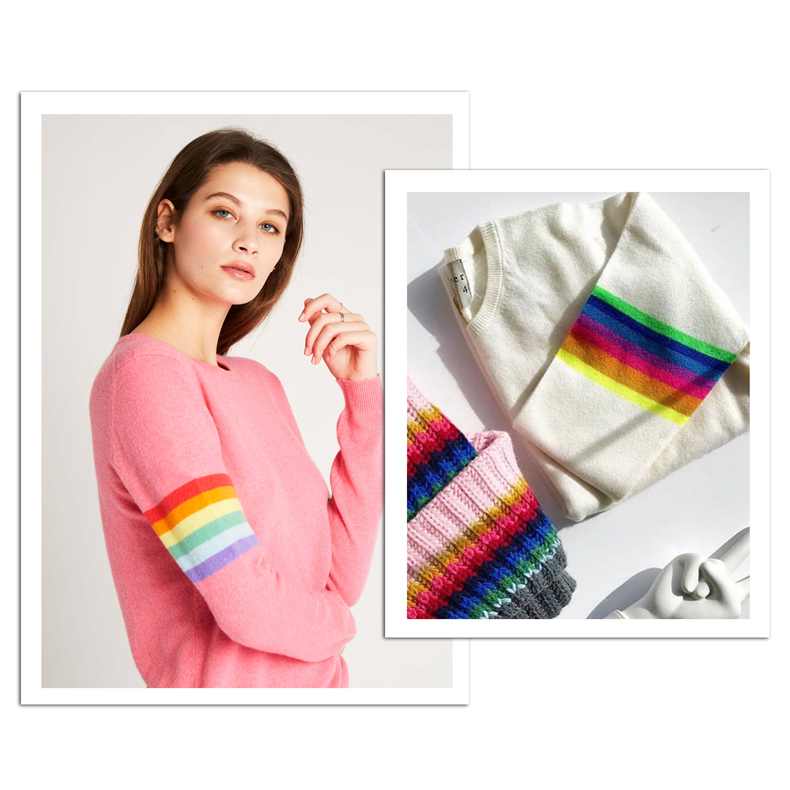 From Instagram-approved trainers and colour-pop cashmere to modernist hand-crafted jewellery: in recent years there has been a welcome influx of vibrant, innovative and stylish labels offering eco-conscious designs we actually want to wear. It's 'in' to be eco. It might come as little surprise that the Fashion industry - after oil - is the world's biggest environmental enemy. 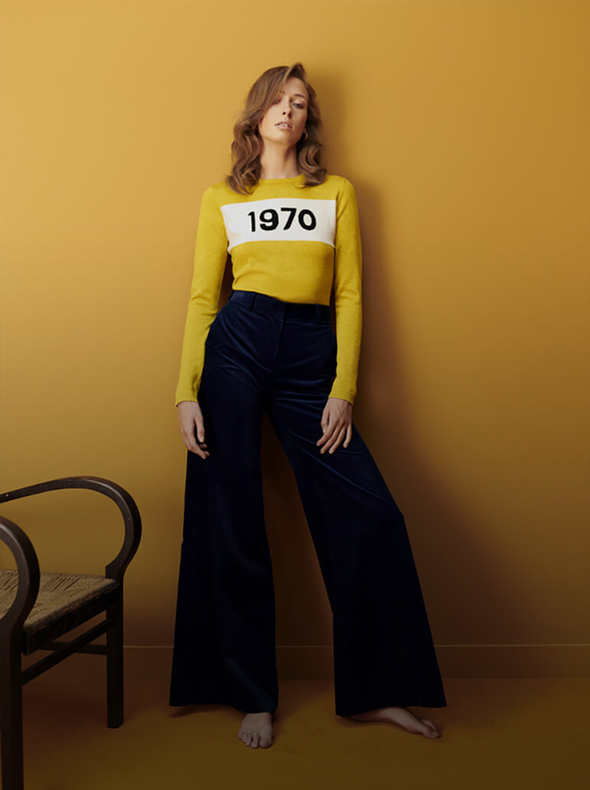 The problem of cheap, fast fashion is one that persists at the peril of the planet, as well as the people and communities behind the production. All too often we compromise quality for convenience in favour of a quick fashion fix. So what can we do? Buy less and buy better: that's our Boutique Buyers' mantra. Look for clothes that were made to last, and consider opting for organic, recycled and responsibly sourced textiles, fair working conditions and transparent supply chains. The easiest place to start? Invest in labels that are already achieving all of the above. Here we highlight three change-making ethical brands shaping the future of fashion - and the environment - with their clean green credentials. 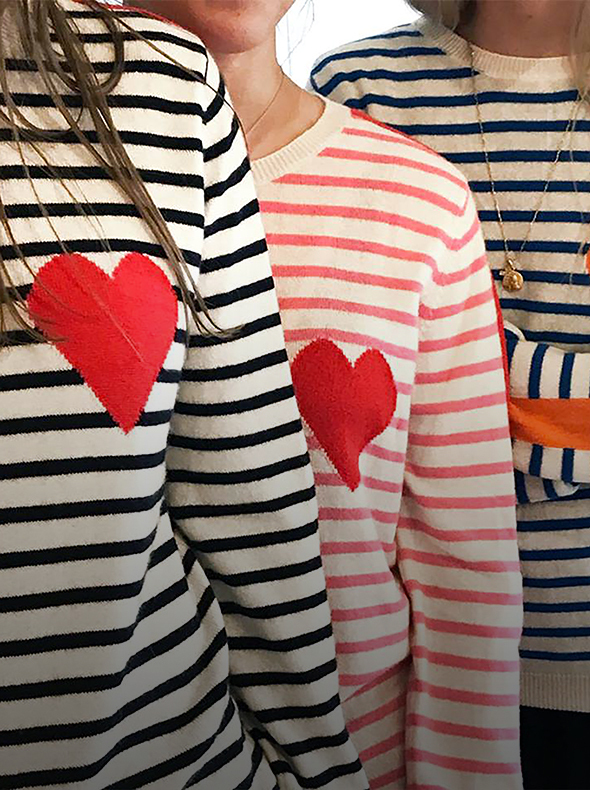 "Designed with a contemporary edge and a playful heart", Jumper 1234 is known for jumpers and cardigans knitted from the finest 100% cashmere. Born from a love of simplicity, the label focuses on uncomplicated, timeless design. That doesn't mean you can't expect to make a statement via exciting pops of colour and rainbow motifs. These super soft, lightweight knits work as transitional wardrobe essentials that stay relevant from season to season. Hanger appeal aside, each piece by Jumper 1234 is spun from yarn produced by nomadic Mongolian herdsmen whose families and communities are directly supported by the brand. The artisanal craftsmanship that goes into each garment ensures its longlasting lifespan in our wardrobes, and, what's more, their carefully refined cashmere is always naturally sustainable. We're struggling to find a box this brand doesn't tick. 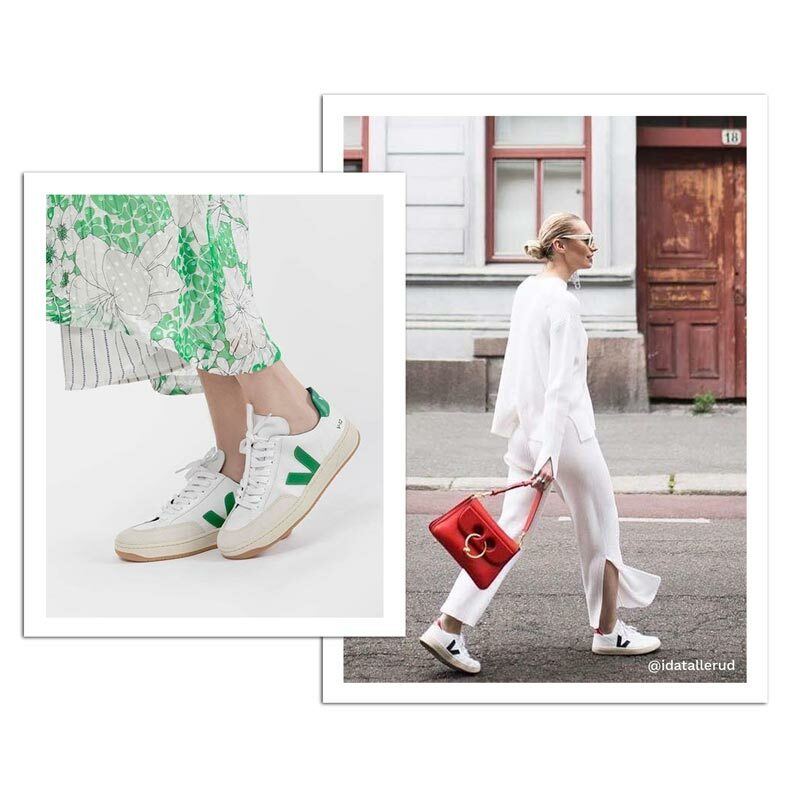 Frequently spotted on the feet of the global fashion elite, designer shoe label Veja has skyrocketed from niche French brand to industry leading innovators - and their rising popularity shows no sign of slowing down. Using exclusively ethical processes from production right through to packaging and distribution, their achingly cool sneakers are composed of organic cotton, vegan leathers and even wild Amazonian rubber. It's reassuring to know that Veja works directly with producers, cutting out the middle man and ensuring their fairtrade philosophy is always observed. Styling-wise, these cult sneakers are instantly recognisable by their signature 'V' motif. For summer looks, consider preppy low-top canvas 'Watta' styles. 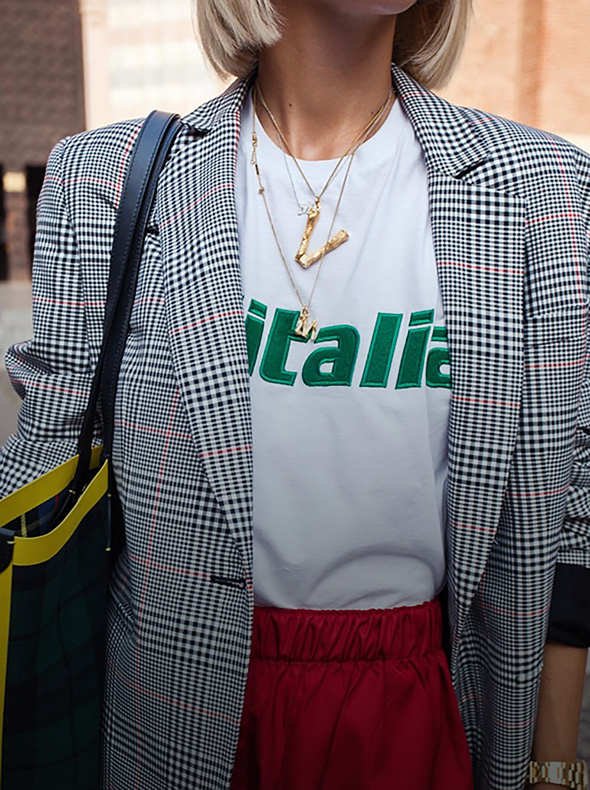 Collect bright colour combinations and metallic textures to add interest to off-duty ensembles, or keep it classic with their chunkier, vintage-inspired V-10's. Taking notes from the street style set, we're wearing ours with floral midi dresses and relaxed boyfriend jeans. Saving the planet never looked so chic. Inspired by the eclectic architecture and creative lifeblood of their East London surrounds, sustainable jewellery label Wolf & Moon artfully combines sculptural avant-garde designs with bold geometric forms. Elevate all manner of outfits by way of striking pendant necklaces and an offbeat selection of studs, hoops and drop earrings. From weekend market regular to global online tastemaker, Hannah Davis' label has always stayed true to its made-by-hand ethos; championing independent British design, and treating its workers with respect. 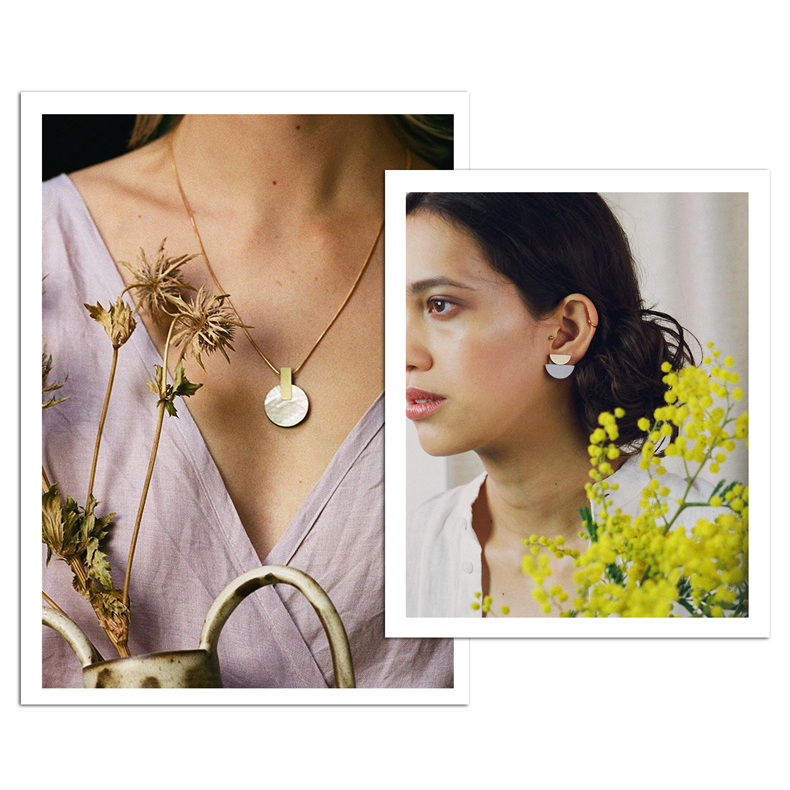 Wolf & Moon's pieces are typically crafted in sterling silver, brushed brass and handpainted wood, the majority of which are sourced from Britain and Europe, and the latter coming exclusively from renewable, FSC certified suppliers. Davis and her team also make every effort to recycle off-cuts and reduce waste. Eco-friendly, ethical and fashion-forward: this is a trailblazing jewellery brand to get behind now.